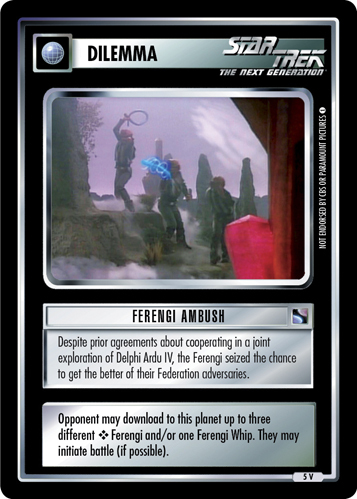 Despite prior agreements about cooperating in a joint exploration of Delphi Ardu IV, the Ferengi seized the chance to get the better of their Federation adversaries. 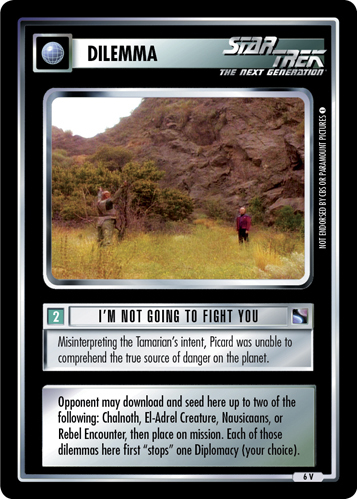 Opponent may download to this planet up to three different ❖ Ferengi and/or one Ferengi Whip. 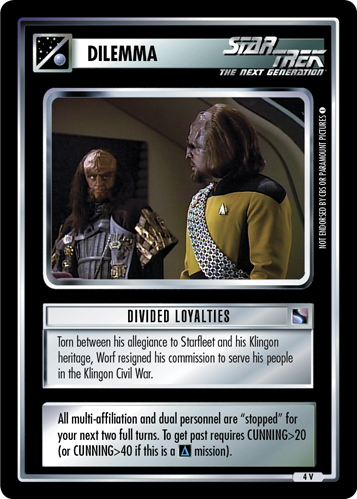 They may initiate battle (if possible).